Finding out that your pregnant is one of the most exciting things to happen in our lives especially if you have been waiting for this moment for a long time! What makes it actually feel real is having that cute little baby bump. 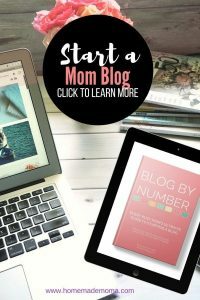 When do you start to show the bump during pregnancy is a common question asked by most mommas because of the need to validate their pregnancy or to show off the bump. Whatever your reason is for wanting to know I totally understand, whether you want to hide it or tell the world it is something that helps you mentally deal with being pregnant and also gives you piece of mind. When I first found out I was pregnant I was super excited and anxious, it all didn’t feel real until my first doctors appointment when I heard the heartbeat and later when my baby bump started to appear. I know where you are coming from and how it feels to first be pregnant and have no signs other then sickness that you are indeed caring a baby, it makes you question if you are pregnant at all and causes lots of anxiety. When Do Most Pregnant Women Start Showing? Whether you want your bump to show so you don’t have to tell people your pregnant or if you want to hide it from family, friends, coworkers and your boss this is the time for most first time moms that the bump will appear. Your growing Uterus hides inside your pelvis until it outgrows this space and then starts to peak out into your abdomen showing your bump, this usually happens around 14 weeks but can be sooner for some women. If you were pregnant before your uterus may not have shrunk down all the way and will expand faster then someone in their first pregnancy. Some of the factors on when you start to show during pregnancy also have to do with your body type, for tall women they may show later on and for short women it might be sooner. Many women report having their bump arrive exactly at 12 weeks. You can’t compare your bump to anyone else’s, they are unique to every women and no two look the same. Don’t worry if you don’t show for a long time, I know that’s hard to hear but enjoy not having to dress the bump just yet. As long as your baby is growing and developing the way it should and your doctor says it’s healthy try not to stress over it! If this isn’t your first pregnancy you may show sooner then you did the last time just due to the fact that your muscles have already stretched once before to carry a baby. They know exactly what to do this time around and everything works a bit smoother because of this. Remember no two pregnancies are the same so it may not be like it was the last time! Stomach Muscle Strength: Some women won’t show for as late as 16 weeks or longer due to how strong their stomach muscles are. If you workout a lot and have a very slim stomach you most likely won’t show as early as some women who don’t workout. If this is not your first pregnancy and you didn’t get your core back to where it was post pregnancy then you may show faster due to the lack of core strength and possibly having some muscle separation called diastasis recti. 2. Bloating: Some women tend to retain water more then others and this can cause you to look pregnant sooner as well. Make sure to drink a lot of water each day to stay hydrated this will help you not bloat as much. You can bloat from excess gas build up or from constipation, try not to eat food that causes gas like broccoli, tomato seeds, cucumber seeds, etc For the constipation it is a good idea to use a laxative for a much easier time. 3. Pregnant With Twins: If you are pregnant with twins your uterus is going to expand faster and have less room earlier on in your pregnancy causing you to have a baby bump sooner then most women maybe even well before 12 weeks. However this may not always be the case because it still has to do with your body type, height, weight, core strength and the number of pregnancies you have had. You could be a tall person with great core strength and still not show until six or eight months because it’s your first pregnancy. 4. Age: Yes age is a factor and has a lot to do with muscle strength, most older women have less muscle strength then younger women. I don’t want to say all women because their is always someone who is outside of the norm such as the one that works out religiously and has a super tight stomach or six pack abs. 5. Body Type: If you carry a little more weight you may not show for a while due to your body type where as a person with very little body fat may tend to show sooner. If you have a longer torso you may not show for a little while longer because your uterus has extra room to expand before growing out where as a person with a shorter torso will probably show sooner due to the lack of room. I have talked to a few women that are tall who didn’t show until they were at least six or seven months along, people would give them a hard time about being pregnant because you simply couldn’t tell that they were. I think it’s a sensitive subject for some mamas especially if you need physical proof to feel connected to your pregnancy, people shouldn’t say things like this to any pregnant mom. 6. Incorrect Due Date: Having the wrong due date can make you look pregnant sooner or later depending on how far off it is, your doctor can figure this all out for you so don’t worry if this is you it will be corrected shortly. 7. Previous Surgery: If you had previous abdominal surgery or a c section then you will most likely show sooner due to the weakened muscles unless you started doing core and pelvic floor exercises to help strengthen them. In some cases it is hard to recover completely from this and your muscles will still stretch due to the fact that they were stretched before causing you to show your baby bump around 12 to 16 weeks or even sooner if you don’t have much body fat. 8. The Size Of Your Baby: The size of your baby can determine when you start to show, if your baby is smaller it will take longer for you to show as opposed to a baby that is bigger and needs more room to grow thus making your belly stick out sooner. My first baby was on the small side and it took until I was five months to start showing with her, it all depends on how fast your little one is growing. 9. Placement Of Uterus: Your uterus could be in a different position over your pelvic bone compared to usual placement and this would cause your baby bump to be delayed. No worries it doesn’t mean anything is wrong, women have different positions of their uterus, some are tilted forward and others back. If it’s tilted back your baby has more room to grow before your belly starts to stretch, if it is forward there is less room and causes stretching sooner then later. Every women is different and it has to do with your genetics as well, if your mom showed early you probably will too. Your DNA determines a lot when it comes to being pregnant so don’t be surprised if you are similar to your mom or sisters during your pregnancy. Genetics – Your genes have a lot to do with how your body is and the placement of your uterus, if your mom or sister showed early you probably will too. Weight – If you gained a lot of weight before pregnancy and it’s in your abdominal region you may not show as soon as other women in the same week of pregnancy as you. If you lost weight or are underweight you may show sooner due to the change in your body and the fact that you don’t have a lot of body fat. Water Retention – Your body starts accumulating fluids once you are pregnant and this sometimes makes you look bloated or swollen causing you to look like you have a bump already. 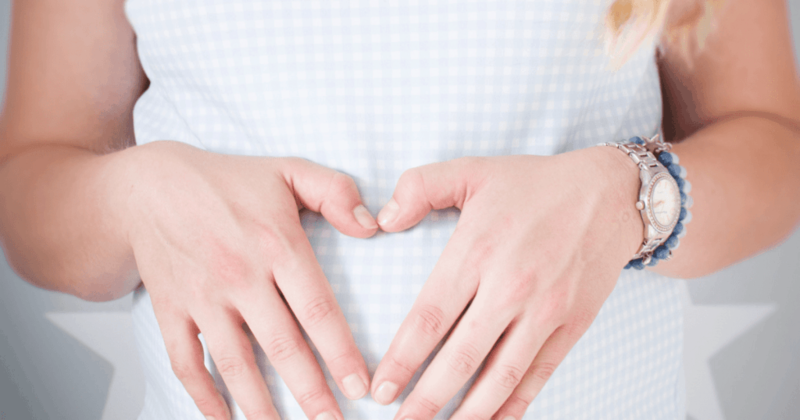 Constipation – This can cause you to look pregnant early on due to the slowing of your digestive system and accumulation of waste in your digestive track (sorry I know this one is kinda a TMI). You are two months pregnant at this point and your uterus is growing, you should have gained about 4 to 6 pounds about one to two pounds a week. You may show a bit which is normal but some may not at this point. If you are having twins it may be more prominent then a singleton mom. Few visible body changes happen at this time, you may have some abdominal bloating because your digestive track is slowing down and this causes a lot of gas, bloating and some constipation which could make you look like you have a slight belly. 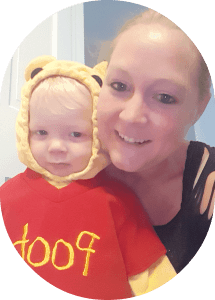 Most women don’t show until they are in their second trimester unless you have been pregnant before or are under weight, most first time mom’s start to show at 14-16 weeks. If your pregnant with twins you may start to show around this time. You may start to show around one month earlier then you did in your last pregnancy due to your uterus not going back to it’s original size and also abdominal muscles having stretched and overextended which causes your uterus to sit forward in your abdomen and become more noticeable sooner. It all depends on your body and how you are carrying your baby, some say around 18-20 weeks and some said around 30 but it depends on where your body weight is and also what type of clothes you wear. Tighter fitting clothes will show it sooner then if you wear loose fitted clothes. Your baby bump grows gradually and is partly caused by your growing baby, your uterus is shaped like a pear and becomes more rounded until it’s the size of a grapefruit, it is around this time when you start to show your bump. Their are many factors involved in when you start to show during pregnancy but by looking at the facts and figuring out your body type you can have a better idea of when you will start to show. 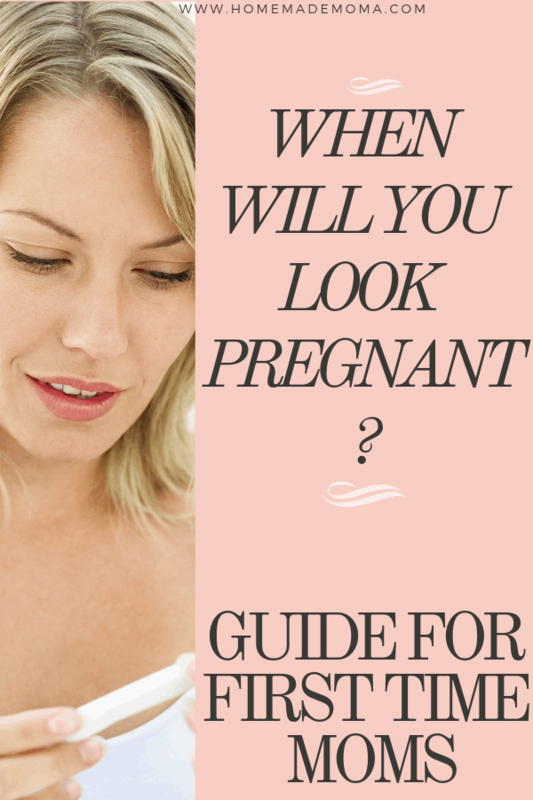 Don’t freak out or start to worry if your bump hasn’t showed up yet. Every women is different and if it shows up early or later it doesn’t mean something is wrong with you or your baby. If you do have any concerns be sure to talk to your doctor about them so that you can set your own mind at ease. Congratulations on your pregnancy momma and try not to worry so much about your baby bump, just enjoy the time now when you can still see your feet!